Brexit uncertainty dragged down optimism about Britain’s dominant services sector in the final months of 2018 but this was as nothing when compared to downbeat readings from the eurozone. The single currency has surprised us all by its durability and celebrated its 20th birthday this week. But by no stretch of imagination can it be considered a triumph. The best thing that can be said is that it took the United States almost half a century of booms and busts to fully establish the dollar and the authority of the Federal Reserve, so the euro area still has time to overcome shortcomings. The difficulty is that every time the eurozone locomotive gathers speed someone slams on the brakes. 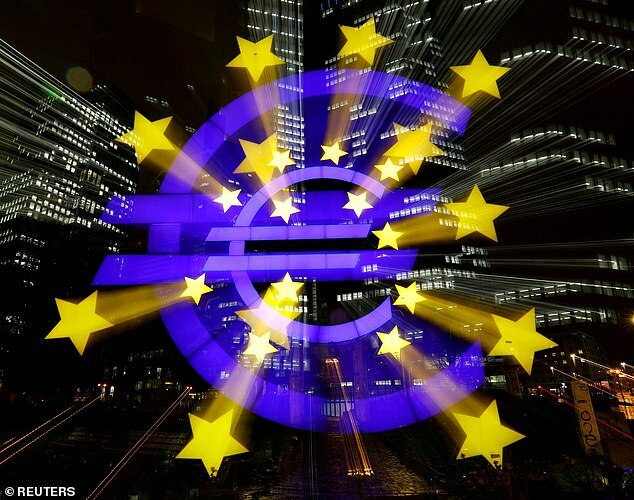 The European Central Bank was slow to lower interest rates and adopt quantitative easing at the time of the financial crisis and put many countries, notably Greece, Italy, and Spain through hell before offering assistance. Now its timing is all wrong again as it removes easy money at the moment that confidence is draining away. 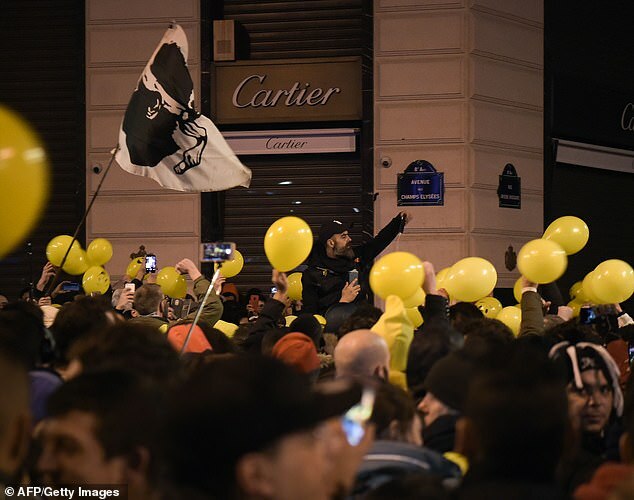 France has been dragged down by the yellow vest protests. Green problems for Germany’s dominant motor industry have contributed to business activity plunging to its lowest level in 27 months after a 0.2 per cent dip in output in the third quarter. Italy has barely grown at all since the birth of the euro. Spain pulled itself back from the euro-crisis brink of 2010-12 but was left with an inexcusable 37 per cent youth unemployment rate. That is a lost generation of talent and a tragedy for its future. Before the financial crisis the great hope was that monetary union would lead to banking and fiscal union. Cross-border bank mergers would build lending capacity and the creation of eurobonds allow member countries to raise debt on common terms. The reverse happened. Banks such as Fortis, a Belgian-Dutch collaboration, collapsed in the crisis. Britain’s own attempt to create a trans-European powerhouse in Royal Bank of Scotland and ABN Amro, partly a collaboration with Spain’s Santander, ended in disaster. The Italian banking system is weighed down by an estimated €264billion (£237billion) of bad loans and only keeps afloat with the help of short-term finance from the European Central Bank. Deutsche Bank, Germany’s largest, spent the first week of 2019 denying it needed a merger to survive. Frankfurt is so distrustful of the profligacy of Europe’s southern tier it finds the idea of issuing EU-wide eurobonds anathema. So we have the phenomenon of wide gap between euro yields in Greece and those in Germany, leading to a flight to safety. Soon after coming to office in 2017 President Emmanuel Macron of France attempted to put much of this right with proposals for co-ordinated fiscal policy and a European Monetary Fund able to enforce common policies beyond interest rates. Political weakness means reform has died a death. Many British people voted to leave the EU because of fears that sovereignty has been eroded. Until eurozone members are committed to pooling fiscal and financial sovereignty the two decades-long single currency experiment can only deliver misalignment and misery. The £600million hostile takeover by Norway’s DNO for London-quoted Faroe Petroleum has reached a critical stage. Most of DNO’s income comes from drillings in Iraqi Kurdistan and it is seeking rights closer to home off the Danish archipelago of the Faroe Islands. Having acquired 30 per cent of the Faroe stock DNO, led by executive chairman Bijan Mossavar-Rahmani, is obliged by City referee, The Takeover Panel, to seek full control by buying a 50 per cent stake. Faroe investors, which include Blackrock and Aviva, should take board advice and hold out for a better price than the 152p on offer. This should not be a boot sale. Angela Ahrendts is admired in Britain for her big role in helping turn Burberry into a global luxury brand and earned an honorary damehood, fat salary and leading role at Apple for her trouble. The retail overlord at Apple is also blessed with fabulous timing. Securities & Exchange Commission filings show she sold £12million worth of her Apple holdings at the very moment in October 2018 when Apple peaked, shortly after becoming the world’s first $1trillion enterprise. Since then, Apple shares have tumbled 39 per cent. Smart thinking.